If you aren’t sure where to begin learning, or you’d like to use a structured approach that ties training to personal and organizational goals, start by assessing your knowledge of and skills in addressing the MCH Leadership Competencies. The MCH Navigator is pleased to release an updated version of the online self-assessment. This version is consistent with version 4.0 of the MCH Leadership Competencies | Read about the updates here. Identify your strengths and learning needs. Match your learning needs to appropriate trainings. Receive a personalized learning plan. 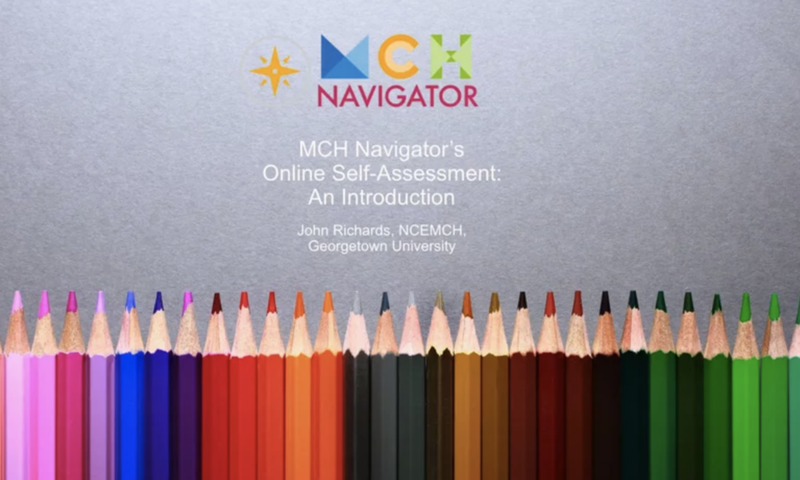 View a presentation about MCH Navigator innovations and how to use the new online self-assessmentThe new online self-assessment provides a personalized learning plan and tracks increases in knowledge and skills longitudinally. It is being adapted by state Title V/CYSHCN departments as well as schools of public health to document advances in professional development. Individually. Register to take the full assessment in one sitting or by competency. Download, print, or have your personalized learning plan emailed to access learning opportunities based on your interests and needs. Log back in to retake the assessment to track growth in your knowledge and skills. As a group. In state or local health settings to provide professional development for your staff or as part of your department's strategic goals or as part of their performance review process. To coordinate shared learning opportunities, by analyzing needs across staff. In academic settings, to measure students' increased knowledge and skills, to supplement coursework, or to provide additional training for faculty and staff. You can also download a BROCHURE for a summary of how to use. Register or Log in. By registering, you can return to the assessment and your personalized learning plan at any time by logging in. Registration provides the project with critical information about who is using the tool. Get Your Personalized Learning Plan. You can save, print, or download your plan. The plan contains tips and questions on how to approach your learning; a chart that summarizes your strengths and areas of growth; online learning opportunities that are matched to your needs; and ways to keep motivated in learning. You can access your past results to see how you have grown professionally over time. Self-assessment is considered to be a major component of learning in public health.1 It provides an opportunity for health professionals to reflect on competency-based strengths and weaknesses in order to identify learning needs and reinforce new skills or behaviors in order to improve performance. With all of the important and critical benefits associated with self-assessment, it is not designed to be a short process. An extensive review of learner strengths and areas of improvement require multiple levels of validation and questions to ascertain. 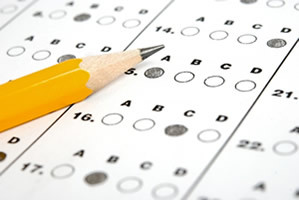 Online self-assessment approaches offer the most efficient methods of completion and many other advantages including providing learners with a user-friendly and quick way to answer questions, streamlining the management of the assessment process (i.e., registration/log-in and tool layout pages etc. ), and allowing data to be saved, kept confidential, and used for longitudinal data analysis. Das, M., D. Mpofu, E. Dunn, and J.H. Lanphear. (1998). Self and tutor evaluations in problem-based learning tutorials: Is there a relationship? Medical Education 32(4):411–18. Rooke, T.R. (1998). A critical review of reflective practice in its role towards personal and professional development. Journal of the Royal Naval Medical Service 84(2):66–70. Marienau, C. (1999). Self-assessment at work: Outcomes of adult learners’ reflections on practice. Adult Education Quarterly 49(3):135–46. The MCH Navigator’s online self-assessment provides a thorough review of each of the 12 MCH Leadership Competencies and 140 sub-competencies. Although extensive and requiring a moderate time requirement, leaners are truly tested on their knowledge and skills on critical topics in MCH. As a result of the comprehensive nature of the assessment, learners are rewarded by increases in knowledge and skills simply by going through the process of completion. The full assessment process serves as a learning opportunity for MCH professionals and source of professional development. The Core Competencies for Public Health Professionals (Core Competencies) represent a set of skills desirable for the broad practice of public health that professionals may want to possess as they work to protect and improve the nation's health. Competency Assessments, based on the 2014 version of the Core Competencies, can help you determine your level of knowledge and skill with respect to each of the eight domains that comprise the Core Competencies. Assessments are self-scoring PDF forms, and a separate form is available for each of the three tiers within the Core Competencies. Competency-Based Workforce Development Plans: Sample workforce development plans based on the Core Competencies. Self-Assessments to Measure Cultural Competence. The National Center for Cultural Competence has developed several assessment tools and documents to assist individuals and organizations in addressing their training needs and for integrating cultural and linguistic competence into services provided to the MCH community. Begin the MCH Navigator Self-Assessment by registering; return to your assessment at any time by logging in. Register to take the online self-assessment. You can answer the questions in one sitting or over the course of time. You can also take the self-assessment multiple times and track your learning across your career. Don't forget that the field for your email address is case sensitive. If you are having difficulty, try using all caps or an initial capital letter, since these are errors that occur often. If you continue to have difficulty, and the Forgot Your Password link does not work, please email us.